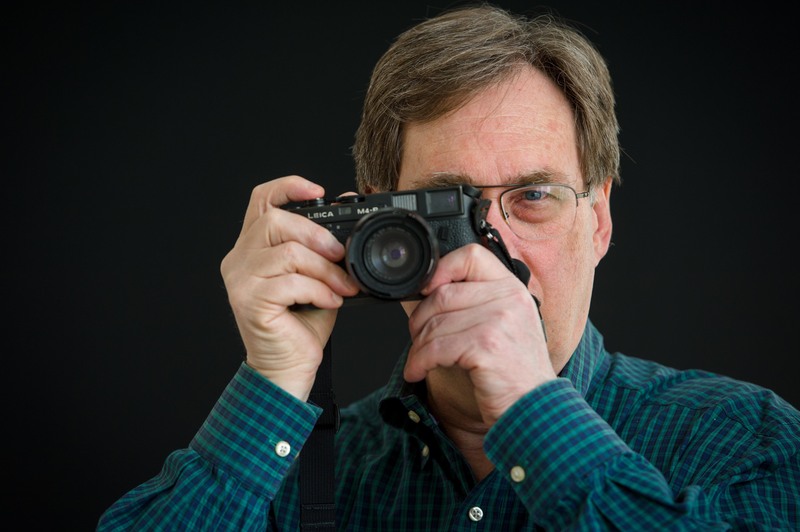 Paul Margolis is a documentary and fine art photographer, as well as a writer. His subjects include people living on the margins of society, vanishing Americana, historic architecture, and the vibrancy of life on the street. He uses traditional cameras in his work and he still hand-processes and prints black and white film for the classic look that it gives. His projects have included documenting the small Jewish communities of Cuba and Ireland, as well as Jewish poverty in New York City. After September 11, 2001, he recorded the effects of the destruction of the World Trade Center on New York City. He also did the photography for a historical guidebook to the Lower East Side of Manhattan that was published by Columbia University Press. More recently, he documented individuals who re-enact World War II, and currently he is photographing the political demonstrations that have erupted in New York City since the 2017 presidential inauguration. Over the past four years, Margolis has been traveling to Israel to record everyday life there. His photographs have been exhibited in the U.S., Israel and Europe. He was the subject of a feature TV interview and has had press coverage of his work in U.S. and Israeli publications. Paul Margolis resides in New York. Documentary and fine art photographer Paul Margolis will discuss his stunning black-and-white exhibit of Jews, Christians, and Muslims in Israel — Israel Impressions — and present a PowerPoint lecture on the work. His photos of Israel show merchants, fishermen, rock festivals, and other compelling scenes that capture the vibrancy of daily life in Israel. Margolis will also conduct a Q and A about his use of black and white film rather than digital, his personal connection to Israel, and his approach to documentary photography. He has exhibited his Israel images and presented the PowerPoint to audiences on the East and West Coast of the U.S., as well as in France and Israel. Both the Israel Impressions exhibit and PowerPoint are available. — Rabbi Lavey Derby, Director of Jewish Life, Peninsula Jewish Community Center.